Fans of Russell Blake have a lot to celebrate with this novel. The prolific writer has been relatively quiet lately, for good reason. His latest thriller sizzles with intensity and combines the best of Blake’s worlds in one, “must read” novel. This one will leave you questioning everything. Grab a copy HERE. “This is Russell Blake at his best. A perfect blending of Ludlum-esque international conspiracy, “The Firm” like intrigue and Crichton-level biomedical detail. Nobody can take a conspiracy theory and spin it into a convincing, high stakes “cat and mouse” game like Blake. 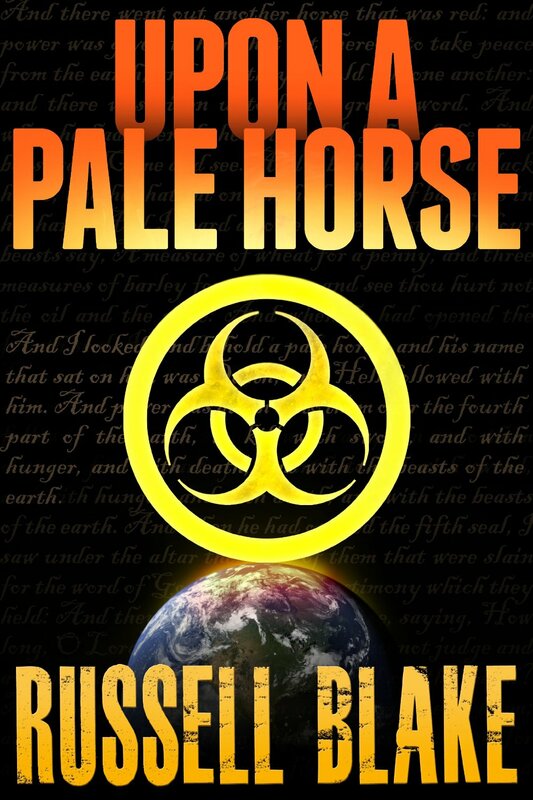 If you think Upon a Pale Horse is just “another medical thriller,” you couldn’t be more sorely mistaken. Blake’s ambitious, finely executed story pits a resourceful attorney, Jeffrey Rutherford, against a ruthless cabal, in a race against time to stop a jaw-dropping plot to unleash the apocalypse and cleanse the world. The background conspiracy fueling Blake’s plot is exquisitely (and frighteningly) weaved, leaving the reader with a well-founded sense of urgency and dread. Tightly staged across two continents, Rutherford’s plight will keep you affixed to the screen, as David takes on Goliath in an unforgettable end game.